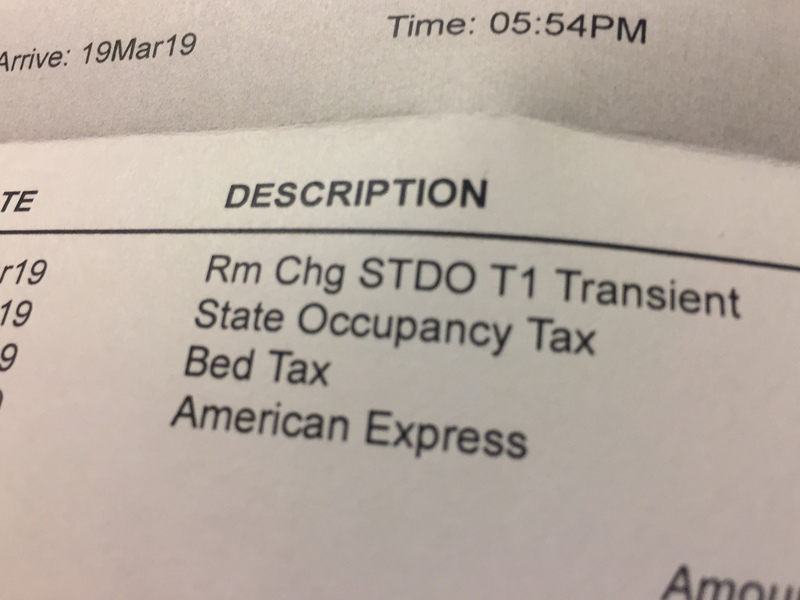 The other day when I checked out of my hotel in Minneapolis I saw that the bill included a “bed tax.” I think the tax came to $17.98, or some odd number like that. Bed taxes are just another way for municipalities to raise revenue — I get that. Minneapolis isn’t alone; you see bed taxes in lots of places. Sometimes they are levied for specific projects, like building a sports stadium or supporting local arts, and sometimes they just go into the city’s general fund. Either way, they’re smart taxes from a political standpoint. You don’t tax the residents who have voting power, all of whom have their own beds; instead, you fleece the business traveler who’s just in town for the night and needs to rent a bed. 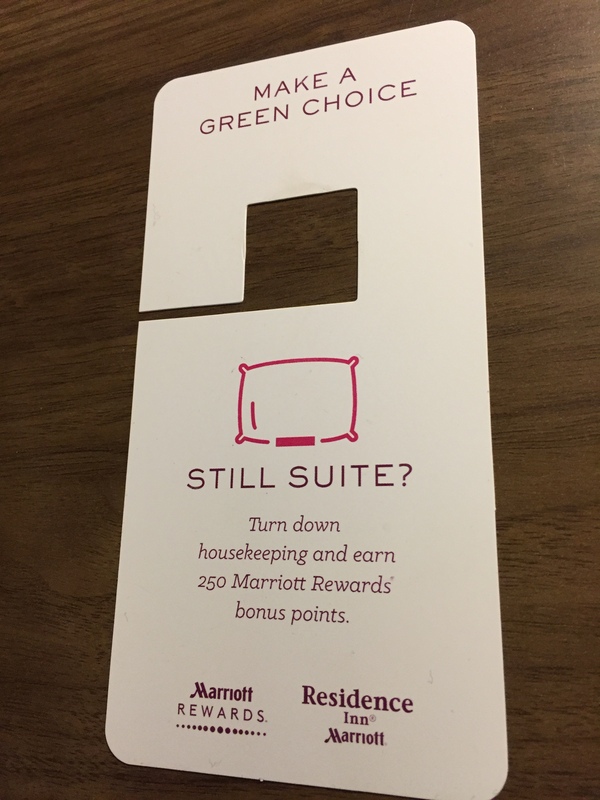 And most business travelers aren’t going to get bent out of shape for paying another $17.98, or $22.37, or whatever the “bed tax” is — especially when it’s combined with a “state occupancy tax” and, in some jurisdictions, a “hospitality tax” or other random taxes that are attached to hotel bills. It’s all an accepted part of doing business for state and local governments, but as I looked at my bill it got me to thinking. What if the bed tax were calculated on the size and quality of the bed — say, as determined by certified “bed inspectors”? If I’m going to be taxed for a bed, shouldn’t some government flunky be assessing whether it’s truly tax-worthy? Shouldn’t a king-sized bed with a nice firm mattress and crisp, clean sheets pay more of a bed tax than an aging queen with a sagging mattress that you sink into and that causes you to wake up with a backache? 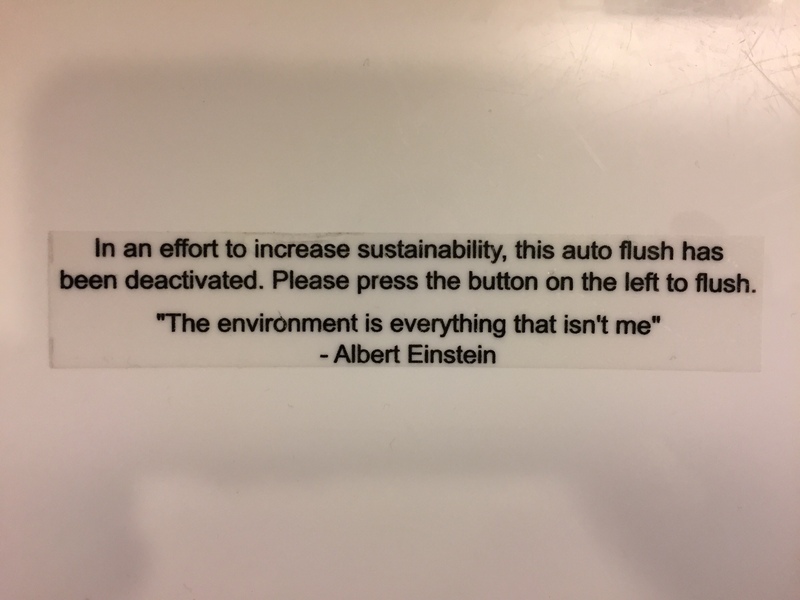 And how should the number and utility of pillows that need to be tossed onto the floor enter into the taxation equation? For that matter, perhaps the “hospitality tax” should be based on how much hospitality the weary traveler actually receives from locals. If you had a hospitality inspector making judgments on appropriate tax levels, you might encourage some places to up their game in the welcoming department. New York City, I’m looking at you! When I got to the hotel at the Denver airport late last night, I found a little container of lavender balm next to the bed. It promised to help me “sleep well,” which sounded good to me. I’ve never used lavender balm before, so I read the instructions. They read: “Wind down naturally with our Sleep Well Aromatherapy Balm, infused with essential oils of lavender and chamomile to ease tension and soothe the senses. Roll onto temples or wrists before bedtime to foster sound sleep.” Because I was keenly interested in fostering sound sleep, I did both. My temples and wrists have never smelled so good! And you know what? I did sleep pretty well, until I had to get up at 3:30 a.m. Mountain time to catch an early morning flight. Was my sound sleep the result of the balm, or just exhaustion at the end of a long day? Who knows? But because sound sleep in a hotel is a rarity for me, I’m taking no chances. The lavender balm is officially part of my travel kit from now on. I like Christmas. I really do. But when you’re at a conference, a little Christmas goes a long way. Thursday night I found myself at a reception in the obligatory open atrium space at one of those colossal hotel-conference complexes. I was having a perfectly pleasant time, chatting with other attendees, when suddenly there was a blast of music, strobe lights, and fog machine effects, and some kind of Christmas-themed program starting playing, at bellowing volume, over the sound system. I think it may have been called “A Christmas Wish,” or something along those lines, and it seemed to involve a boy beseeching his Grinch-like grandfather to do something for the holidays. People who love The Hallmark Channel Christmas movies no doubt would have appreciated its saccharine sappiness. Me? I found the kid’s voice incredibly annoying as I was trying to carry on a conversation, and I sympathized with the beleaguered granddad who had to put up with the irritating rugrat. Eventually the program ended, and everyone at the reception breathed a sigh of relief at the very welcome silence. Before we knew it, however, the program started again, and we realized with grim despair that it apparently was going to be broadcast every half hour. I wasn’t the only attendee who then decided that it was time to exit the reception and get as far away from the imploring kid’s voice as possible. Lights, trees, other festive decorations, and a little Christmas music in the background are just fine. But forced exposure to some maudlin tale that is supposed to illustrate “the meaning of Christmas” is where I draw the line. 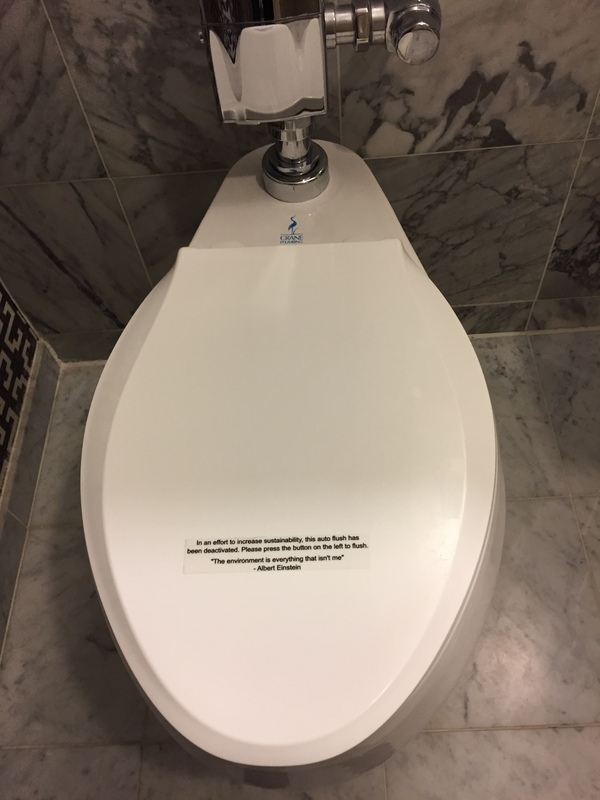 There have been some great developments in hotel design during my years of business travel. Business centers, for example. Coffee makers in your room. Easily accessible boarding pass printers. But it’s hard to argue that any development is more welcome for a weary traveler than a rooftop bar on a hot, sunny day.